Split the payment over 13 weekly payments of $89.62 Shipping & returns info Free shipping! Ideal for Retail, Shopify POS Hardware Bundle 8 consists of the Star TSP143III LAN Thermal Receipt Printer, Socket S700 Bluetooth Barcode Scanner, Dymo USB Label Printer & Heavy Duty Cash Drawer. 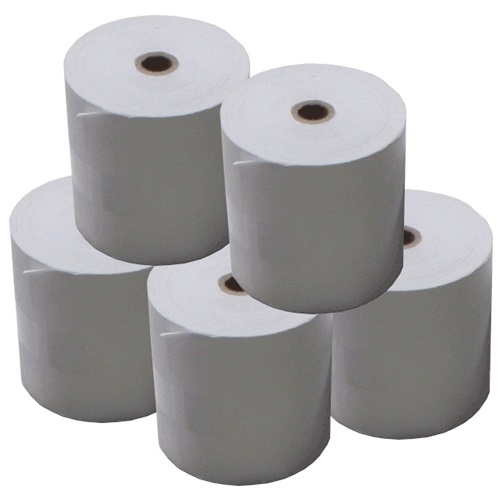 If you require Paper Rolls & Labels, you can purchase these separately from the related products. Shopify Point of Sale Hardware Bundle with Star TSP143III LAN / Ethernet Cabled Receipt Printer, Socket Bluetooth Scanner, Label Printer & Cash Drawer. All products are compatible with Shopify POS Software. Check out the below details for individual product details! Introducing Star's super fast, entry-level Ethernet printer (10/100baseT, UTP) with LAN cable supplied & "Virtual" Serial Port. The EC-410 Cash Drawer is a solid steel cash drawer perfect for all Point of Sale Environments. By adding the under counter brackets you can easily mount the drawer giving extra security and make the installation neat & tidy. The Socket S700 Barcode Scanner is a Wireless Bluetooth 1D Imager ideal for retail POS, field service, inventory management, asset tracking and more. The Dymo LabelWriter 450 Label Maker is a handy machine that you can use to print labels, barcodes, name badge labels and more straight from your PC or Mac computer. It utilises thermal printing technology so you don't have to mess around with ink or toner cartridges. It can print up to 71 labels per minute which makes it ideal for high volume labelling tasks. This LabelWriter is ideal for printing labels for shipping, folders, name badges and more. It has a printing speed of up to 71 labels per minute. Print crystal-clear text, graphics and barcodes with improved 600 x 300 dpi graphics mode. You can create labels from text in programs like Microsoft Word and Excel or sync the built-in address book with your Outlook or Mac contacts for simple mailing label printing. 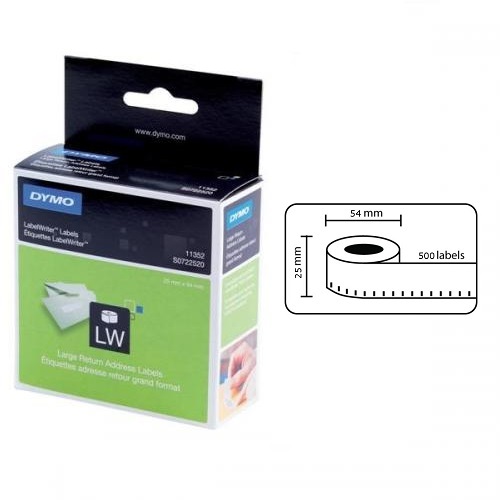 The DYMO Label v.8 software is compatible for use with PC and Mac computers. It comes with a 2 year manufacturer's warranty for your peace of mind. It utilises thermal printing technology so there's no need for messy ink or toner. 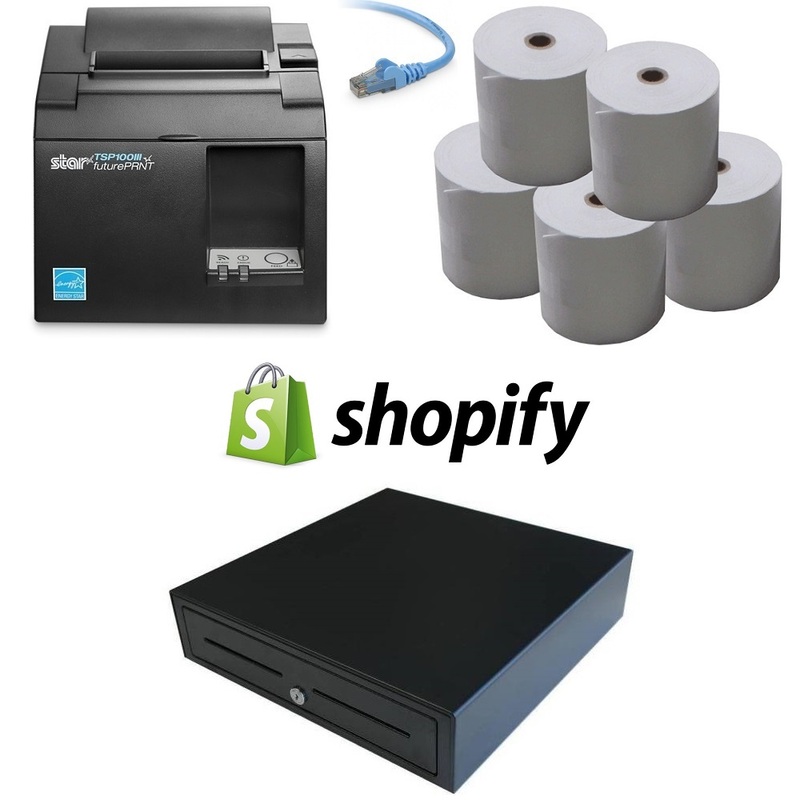 Shopify Hardware Bundle 1 - Star TSP143III LAN Receipt Printer, Cash Drawer & Paper Rolls.